Our friend Whitnie is a planner that has a passion for DIY and small shops! 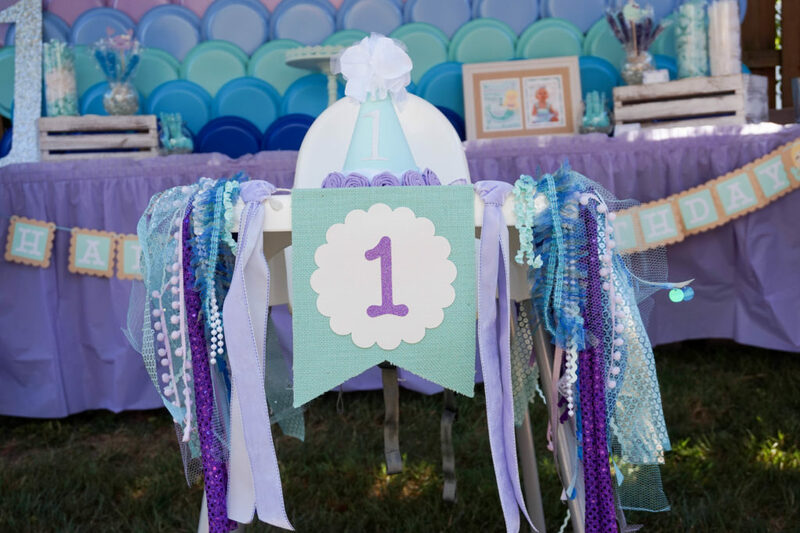 Long before her summer baby ever made her entrance into this world she knew she wanted her to have an epic Mermaid themed first birthday party. She started by selecting the colors that she wanted... lavender and mint. Everything she made or bought needed to coordinate with those colors. She loves keepsakes and so she wanted to make sure that Vada's invites were beautiful and timeless so that she'd remember this special milestone every time she'd look back on them. That's when she reached out to us (sprinkleddesigns.com)! We listened to her vision for her party and invitations, and we brought those ideas to life! 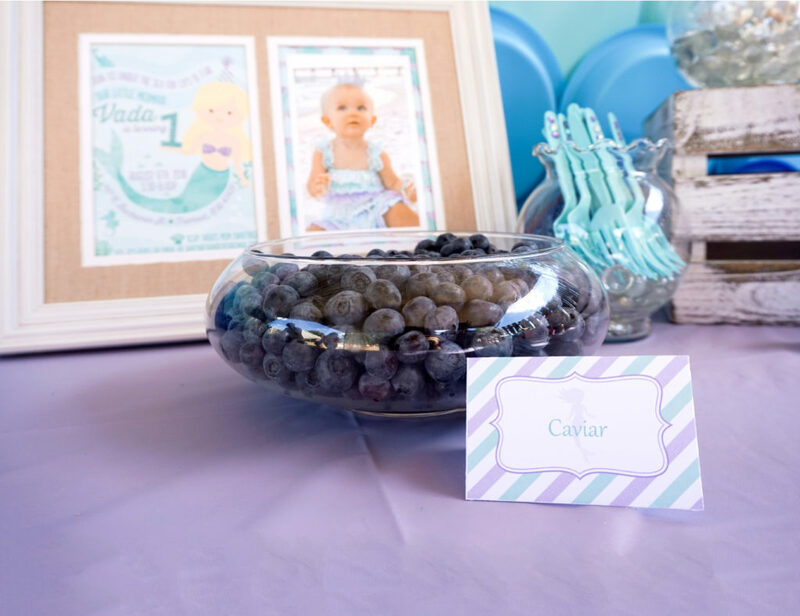 We made several mermaid-inspired signs that Whitnie was able to frame, and place around her party as decor to really help bring everything together! Whitnie had Vada's romper custom made by one of her favorite small shops on Instagram (@Handmaeve) and did her very best to DIY as much of the decor as she possibly could. The backdrop for Vada's cake table was truly a labor a love as her husband hot glued each and every plate in place – the statement that it made was so impactful and had everyone talking! Between the snow globes with Vada's photos inside them, the food that were all ocean themed and even the bubble wands with our custom gift tags attached to them, Whitnie truly felt like there was no detail missing. Vada had an amazing time and her entire family raved about having a "full mermaid experience." Linda St. Amant is a mom, military wife, & the creative director behind Sprinkled Designs. Sprinkled Designs is an online shop that specializes in party invitations, party decor, and gallery wall art. We love creating beautiful designs that help our clients celebrate life, & honor the occasions in life that make everything worthwhile. So stinkin adorable!!! I love it so much! This just made me even MORE excited about what’s in store for Caroline’s birthday party! ? 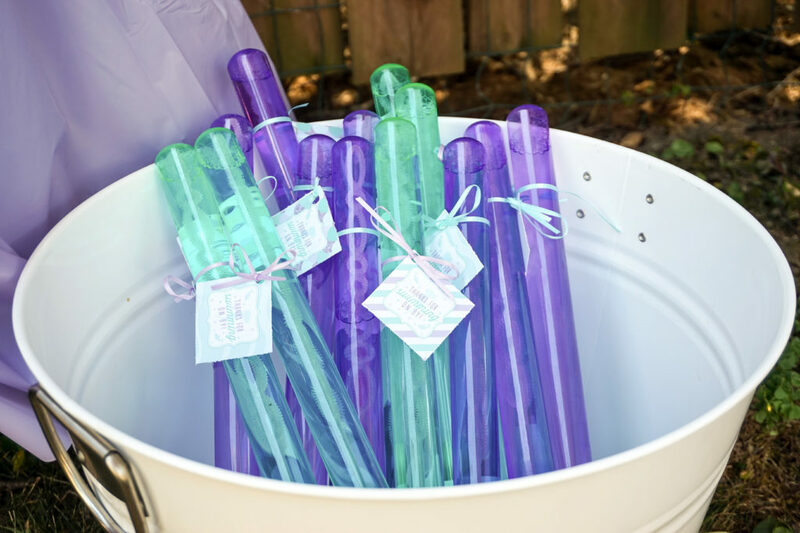 Where did you find the mint and lavender bubble wands? I cannot seem to find them anywhere. Thanks! Also looking for the bubble wands! Everyday we are inspired by beautiful weddings, aspiring entrepreneurs, exquisite homes, working moms, and more. We desire to bring that inspiration to you through our site! From the things we shop, to the cocktails we create, to the babies we are bringing up, Inspired By This is a lifestyle site dedicated to delivering beautiful content to readers at every stage of life. Whether you’re embarking on marriage, career, motherhood, a trip around the world, or a home remodel, our site is tailored to you!